Quiet complex with attention given to quaility and comfort! Each unit has an updated kitchen; bathroom with Jacuzzi tub; stackable washer and dryer and cozy pellet stove! In addition, the units have private, fenced patio and yard areas, each with a large storage shed. The property borders vacant land to the west and south with a walking trail next to the flowing creek! Conveniently located near the downtown area and school. Live in one of the comfrtable units and rent out the other three! 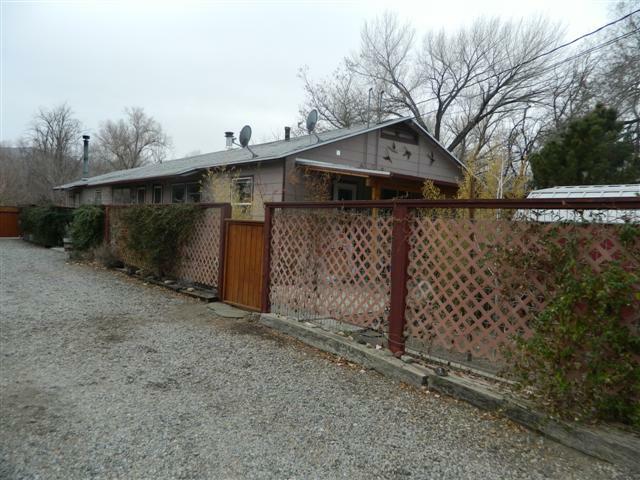 Don't miss this great investment opportunity in beautiful Big Pine!